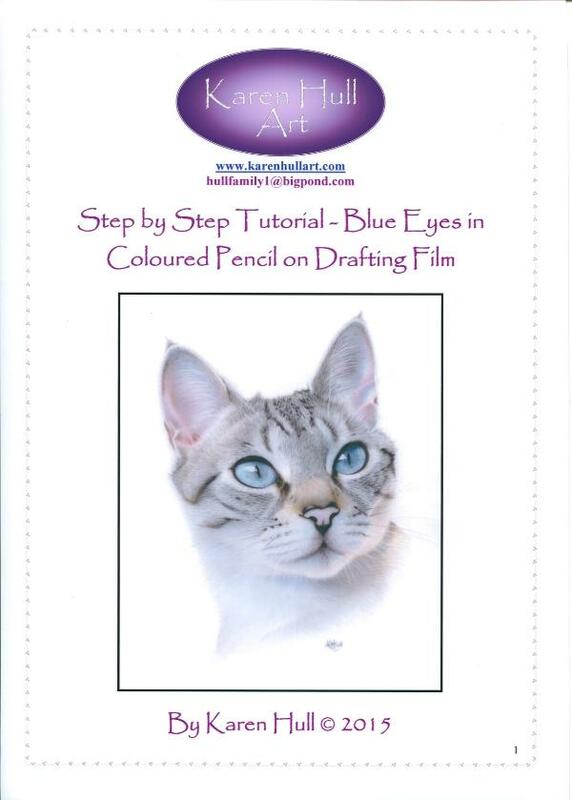 This 27 page step by step tutorial shows you how to draw this gorgeous blue eyed kitty using coloured pencils on drafting film. If you prefer not to use drafting film, you can apply the same colours and techniques to any smooth surfaced paper, the only difference being that you will need to preserve hairs and whiskers, rather than scratching them out as you do on film. This tutorial has been done using predominantly Faber Castell Polychromos, Caran D'ache Pablos and Verithins. If you do not have these particular brands of coloured pencil, it is recommended that you also purchase the Coloured Pencil Conversion Charts so that you will know which colours to substitute from your own range of pencils.